A retired four-star United States military general said Tuesday that the NATO Western military alliance forces he once oversaw were not sufficiently prepared to handle an all-out conflict with Russia. U.S. Air Force General Philip Breedlove, who served as head of U.S. European Command and NATO's Supreme Allied Commander Europe from May 2013 through 2016, said that the post-Cold War geopolitical environment reduced the focus on military spending and readiness, leaving major vulnerabilities in the multinational defense pact. "There is no general who wakes up in the morning and says he wants to fight Russia," Breedlove told Polish news outlet Onet. "I believe that strength and readiness determine peace." The U.S. and its NATO allies have long accused Russia of violating the sovereignty of other countries, from military conflicts in Georgia and Ukraine to interference in the 2016 U.S. presidential election. Russia has denied these claims, but they have compelled both sides to pursue major military build-ups on either side of Europe's borders. 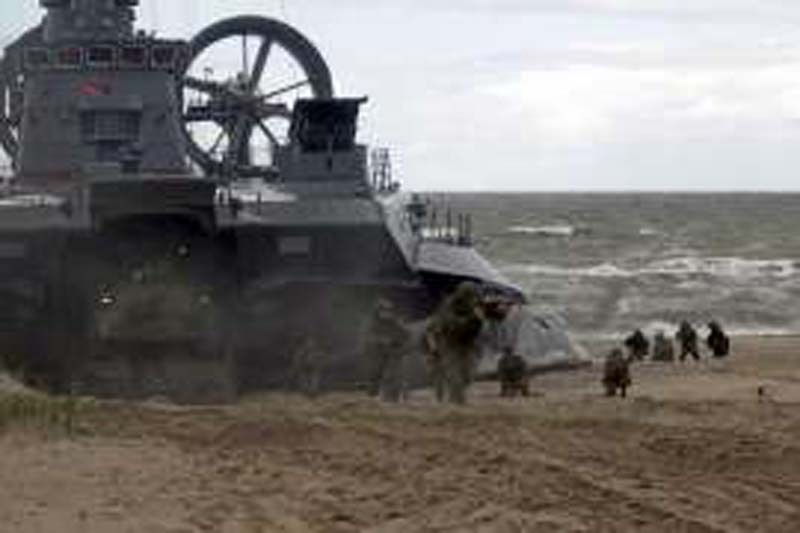 Since then, a number of reports have emerged questioning NATO's capabilities to handle a Russian assault, despite the U.S.-led command enjoying a considerable advantage in terms of funds and manpower. Breedlove said that he did not believe that Russia was more prepared than NATO, but conceded that "we are not where we should be." Russian President Vladimir Putin's push to modernize the country's armed forces and expand Moscow's political clout has also brought him into the Middle East. In 2015, Russia intervened in support of Syrian President Bashar al-Assad against various rebel and jihadi groups trying to unseat him in the wake of an uprising sponsored by the West, Turkey and Gulf Arab states several years earlier. The Syrian government has reclaimed most of the country with Russian and Iranian help and Breedlove noted the largely successful campaign in Syria as evidence of Russia's "extraordinary adaptive abilities," adding that "they quickly eliminate imperfections. They showed it in the Middle East." Russia has also invested in its Pacific front, where it accuses the U.S. of bolstering a global missile shield through advanced defense installations in countries like Japan and South Korea. Putin has reached out to Chinese President Xi Jinping and the pair have improved their countries' political, military and economic cooperation over the years—a potential sign of global influence shifting from West to East. While President Donald Trump came into office professing to be an admirer of Putin, the deteriorating relationship between the two countries has sidelined most attempts at cooperation. The $717 billion 2019 National Defense Authorization Act proposal drafted earlier this month by the House Armed Services Committee included further sanctions targeting Russia's defense industry as well as a clause foregoing military cooperation.